This Emerson Knives model is called The Police Utility Knife or PUK with a stone washed finished blade and partial blade serrations. 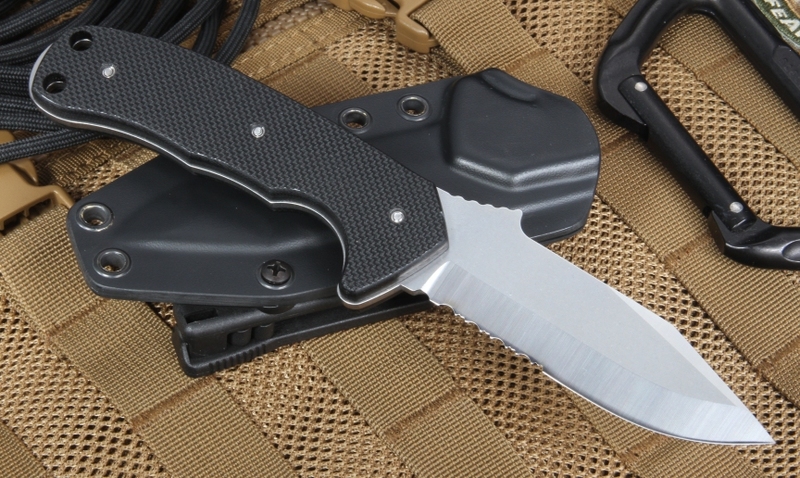 Partial blade serrations are excellent for rescue tasks such as cutting seat belts or heavy clothing material. Solid full tang design will stand up to extremely heavy use . 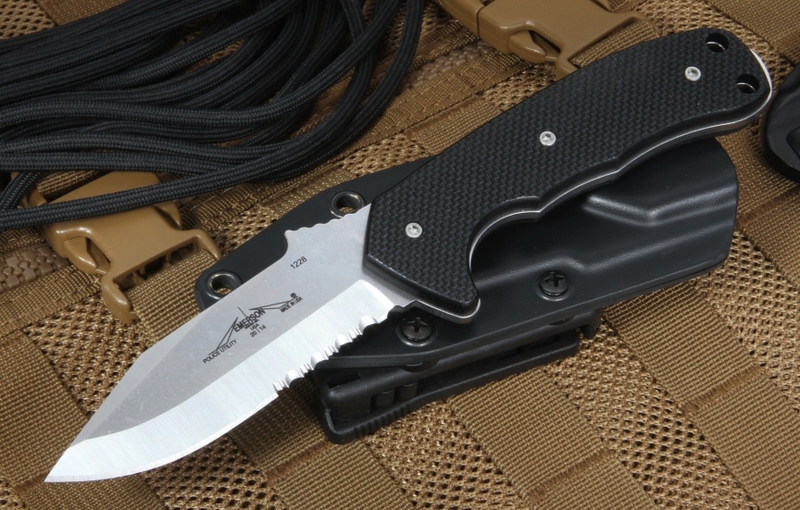 Textured black G-10 helps the PUK fixed blade fit tight in your hand. Lanyard holes in the handle. 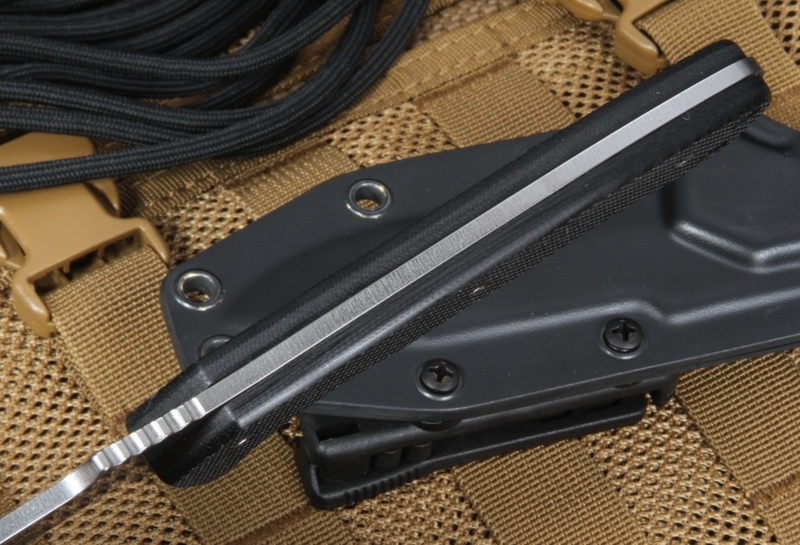 Black kydex sheath with a tek lock belt attachment provides for quick deployment and multiple carry positions. Filed thumb ramp on the blade spine for a secure grip. This is truly a utility knife used by law enforcement near and far.